The Road Not Taken – minimalist günlük. It cannot be a coincidence that both Koray and I love the poem “The Road Not Taken”. I’ve always loved the things that aren’t that popular, stayed away from best-sellers even though I felt they were good, and always had the urge to try unfamiliar things. Now I can’t say that I’m a courageous person, but when it comes to taking the road not taken, you can count me in. Part of the reason for this, I believe, is that the crowds disgust me. I can’t stand being in a place where there are too many people. And, when traveling in Japan, we of course wanted to see the attractions, and avoid the crowds at the same time. That is a difficult task, as in some attractions there were thousands of people. 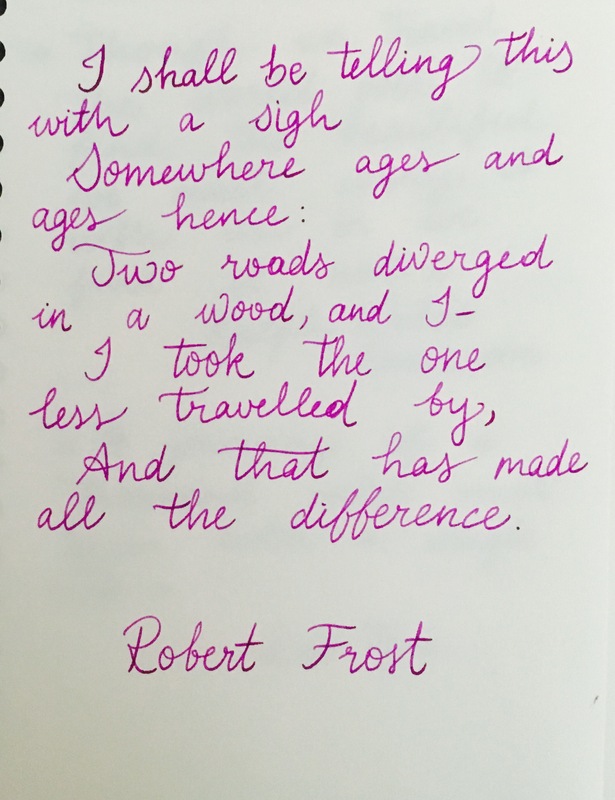 Going by our instincts, we found the roads less traveled by, and that made the whole difference. We arrived at Fushimi Inari station by using JR Nara line, and it was just two stops away from Kyoto Station. Fushimi Inari is the #1 tourist attraction in Kyoto, and it’s not hard to understand why. The shrine which was built in 852 AD, gained fame when the emperor’s wish for rain and abundance was granted. Since then, thousands of people donated a Torii gate when their wishes were granted, so Mt. Inari was soon full of corridors made up by orange-red Torii gates. The entrance and the biggest Torii gate. The biggest gate is at the entrance, donated by a leader who wished for his mother to recover. So the corridors of Torii gates offer a magnificent, almost intoxifying experience walking through them. The gates go all the way up to the top of the mountain. When we arrived at the shrine and started walking through the Torii gates, the situation was exactly the same: the people were trying to take the best photos, without anyone in the background, while keeping hundreds of people waiting. And most of them probably couldn’t take the plunge to go all the way up, so they turned back after the first hundred meters or so. At this point, disgusted by the crowds, we saw a signpost saying if we turn right, there are two shrines 50 and 100 meters away. So we decided to get some air and visit them, and maybe come back and continue walking through the gates again. I’m glad we did! At first we weren’t keen to climb all the way up (233 metre high and 4 km long- sometimes very steep path, which took around two hours), but if we climbed along with the others our only experience was walking through a thousand red gates. But on the road we took, a forest with huge bamboo trees were waiting for us! It turns out the shrine 50 metres away, was actually 50 metres above, so it took us half an hour to get there. The bold lines are the main road, and the one on the right is our path. The writings with kanji indicate the small shrines. When we saw this map, we decided it would be a waste to go back, so we kept climbing to the top. Two hours later, we had climbed 233 metres. As tiring as it was, it was the highlight of my Japan trip and one of the best experiences ever. There were lots of moments we felt eerie and freaked out. The only noise was our footsteps, rain and the birds’ singing. All of the shrines and graveyards we passed by looked abandoned except for one, but the candles kept on burning despite the rain. And a cat followed us for a while, which scared Koray as I had told him before that spirits can take the shape of animals like foxes or cats. 🙂 And in Japan it’s not common to see stray cats, especially on a mountain. It was probably a monk’s pet or something, but as there was nobody around, I admit it was a bit scary. I really like hiking, but as I’m not very good at sports, I always felt I’d be left behind if I join a hiking or a mountaineering group. But here, among birds and giant bamboos, in the eerie silence of shrines, I made the best hiking ever. Behind me is the main road where people usually take to climb to the top. On our way back, we took the main road and we got really happy we didn’t take it while going up. Aside from an observatory terrace and thousands of gates, there wasn’t really much to look at. And as it was all stone stairs, I imagine it was harder to go up. Mt. Inari, without a doubt, one of the most exciting places for me in Japan. Click here for all blog posts about Japan.